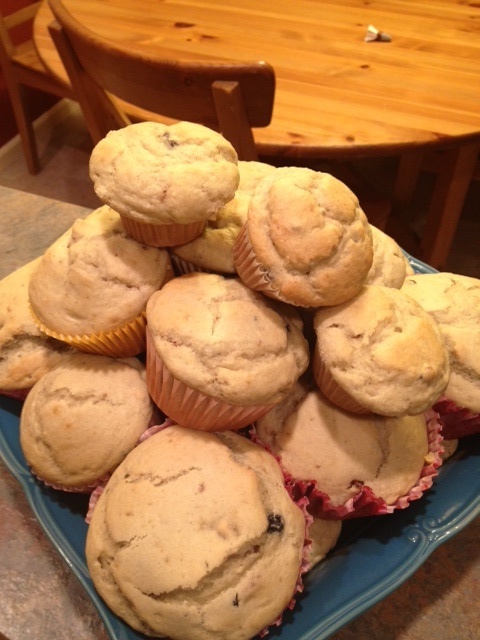 Today I was inspired to bake….as always, lol. So, I thought to my self that it would be nice to do something different for breakfast for the kids. I personally am a muffin lover. I can eat a muffin and glass of OJ and be done for the morning. 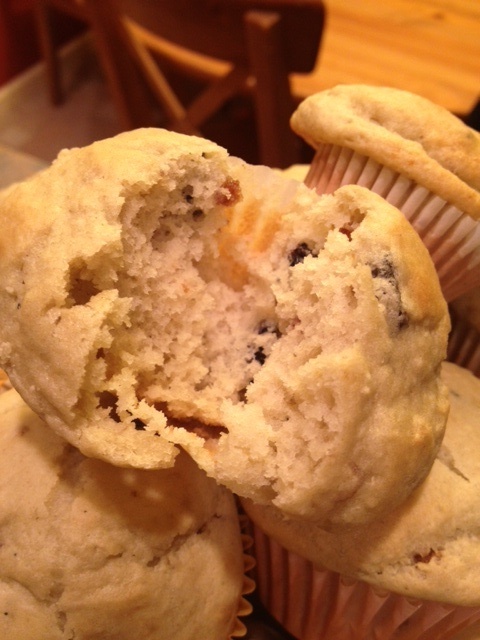 The kids love them too, so I thought, perhaps I can try to make a Blueberry muffin! But, I didn’t have any fresh blueberries I the fridge. But, I remembered that I had some dried blueberries that I boughdeform Wholefood a couple of weeks ago. However, I never have made them with dried blueberries, so I thought to soak them in water for a bit, while I make the batter, to se. If that would help at all. Well, sure enough it did, and they plumped up in Time! Also, what I liked about using the dried is that they were already sweet, so I didn’t have to add a lot of sugar to the batter. I actually like a tart tast to my muffins, so I added a little bit of lemon to it to kick it up a notch. i substituted the egg the recipe called for with apple sauce, and used pitted dried dates to add another level of sweet to it. All in all, they came out pretty goods. Next time, I am going to I will substitute one of the cups of Unbleached flour with 1 cup of oatmeal flour to give it more grain and a but more texture. However, tomorrow morning, when the kids wake up to their little surprise, I am sure they won’t be crying the Blues overly their Blueberry treats, LOL. Goodnight all and remember…..U R Loved! Category: Recipes Tags: Crying The Blues Berry! ← Sweet Seeds for the Seeds!